Shop ‘til you drop. For retailers, that phrase has become an ominous one. As the recession tightened consumer spending, retail business witnessed a similar drop. While a global crime wave of rampant shoplifting did not emerge, retail sales suffered. The reduction in consumer spending meant loss prevention departments had smaller budgets to work with. However, some retailers managed to beat the market. Discount items became a hot commodity, with US chains such as Family Dollar and Dollar General investing in hosted monitoring for hundreds of locations. Hosted solutions helped reduce upfront costs, generating better ROI for retailers and security providers. On the other end of the spectrum, luxury retail is booming. While retailers targeting average-income buyers survive on razor-thin margins, high-end retailers are selling out of their most expensive items. Overall security spending increased 10 percent in 2010, reducing shrink by 5.6 percent, according to the Global Retail Theft Barometer. With shoplifting being a US$45-billion problem, anything that cuts shrink is a welcome investment. The general mindset toward security remains grudging. Security is seen as an upfront cost, not an investment. Loss prevention officers must explain why they want a solution with a price tag over budget, or that takes up network bandwidth, when it does nothing to reduce shrink. 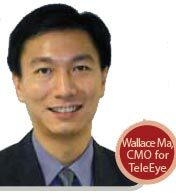 Operational efficiencies that boost sales are worthwhile, which is changing the security dialogue. Instead of identifying shoplifters, security technologies in video or asset tracking are being deployed to increase productivity. As retail operates on slim margins, demonstrating benefits is the way to go. a&s examines the market for retail security, as well as how security is evolving. We look at how solutions are deployed, what the hallmarks of strong performance are and where the future is headed. Shopping shows no sign of stopping, even in the face of gloomy market forecasts. Consumer spending has slowed but not halted, making retail a key vertical for security. Shrink decreased 5 percent to US$100 billion worldwide or 1.27 percent of retail sales, but remains a problem, according to the 2010 Global Retail Theft Barometer. The survey found about $8.3 billion was spent on security equipment such as electronic article surveillance and video, representing 0.34 percent of retail sales. 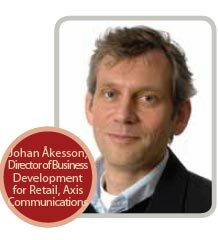 “Retailers apprehended nearly 6.2 million shoplifters and employee thieves, an increase of nearly 400,000 compared to 2009,” said Johan Akesson, Director of Business Development for Retail, Axis Communications. After the 2008 recession, many retailers reduced loss prevention budgets. “Shrinkage as a percentage of retail sales went up from a global average of 1.35 percent to 1.43 percent,” said Steve Sell, VP of Global Marketing for Checkpoint Systems. 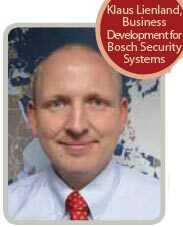 The global security equipment market for retail will maintain a 6 percent compound annual growth rate until 2015, said Klaus Lienland, Business Development for Bosch Security Systems. This is mostly video sales, followed by intrusion and access control solutions. 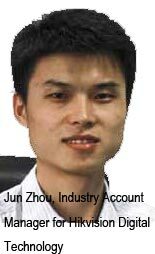 Shrinkage represents about 2 percent of Chinese retail sales, said Jun Zhou, Industry Account Manager for Hikvision Digital Technology. Of those losses, shoplifting makes up 64 percent.